Does Luxury Casino live up to the name? After a huge revamp, Luxury Casino is now open and available for punters to come and join the fun and in this article, we are going to examine whether the casino really does deserve the name ‘luxury’. In terms of eye-catching design, then the answer is most definitely a ‘yes’. The site has turned its back on the gaudy bright coloured casino and instead settled for something a little more understated, opulent and classy. The black and silver livery really helps promote the luxurious feel of the site and certainly gives the right ambiance. When it comes to introductory offers, the site also gets top marks from us. One of my biggest criticisms of introductory offers is that they offer little in the way for loyal players. With Luxury Casino, you can qualify for up to $1,000 in bonus cash in instalments on each of your first FIVE deposits that you make! Of course, no casino can really be viewed as being luxurious if they don’t have a great selection of games. Once again, Luxury Casino gets top marks with almost 500 different games for punters to choose from. 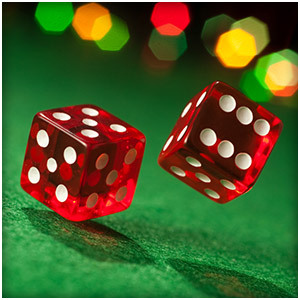 These range from familiar casino games like poker, roulette, video poker, baccarat and blackjack, through to many different parlour games and scratchcards. And of course, the site also offers outstanding online slots including video slots, multiplayer slots, progressive jackpot slots and fruit machines. With payment accepted via a wide number of different platforms and withdrawals speedily and quickly authorised, you can spend your money in the casino safe in the knowledge that not only are your details secure, but that if you do win big, you’ll receive your money promptly too. So from me, the revamped Luxury Casino gets a big ‘thumbs up!’ across the board!